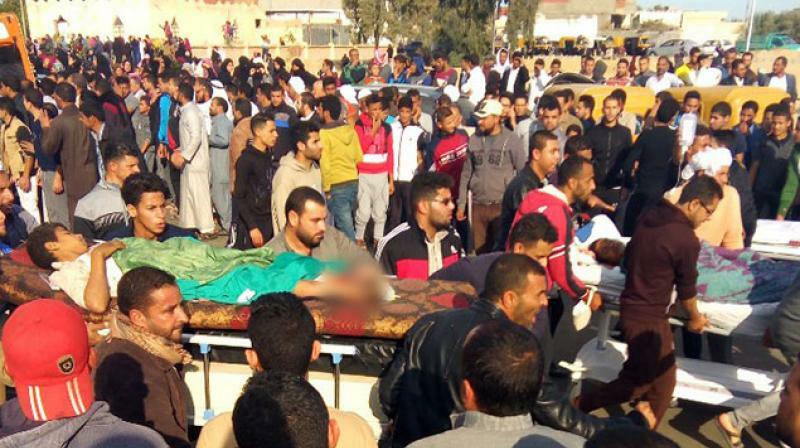 Cairo: Attackers killed at least 235 worshippers Friday in a bomb and gun assault on a packed mosque in Egypt's restive North Sinai province, in the country's deadliest attack in recent memory. 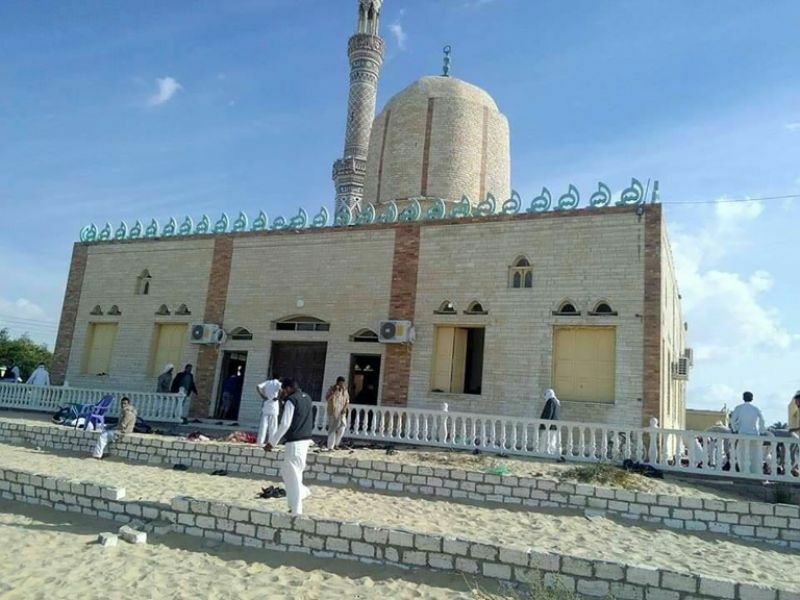 Between 10 and 20 armed attackers "entered the mosque, killing more people than they injured," Magdy Rizk, who was wounded in the attack, told AFP. "They were wearing masks and military uniforms," he said, adding that the area was predominantly Sufi and that locals have received threats from extremist groups. US President Donald Trump condemned on Twitter the "horrible and cowardly terrorist attack on innocent and defenceless worshippers". A furious Egyptian President Abdel Fattah al-Sisi declared three days of mourning and pledged to "respond with brutal force". "The army and police will avenge our martyrs and return security and stability with force in the coming short period," he added in a televised speech. Russian President Vladimir Putin sent condolences to Sisi, calling the attack "striking for its cruelty and cynicism", while condemnations poured in from Israel, Iran, Iraq, Saudi Arabia and other countries. UK foreign minister Boris Johnson decried the "barbaric attack", while his French counterpart Jean-Yves Le Drian labelled it "despicable". Pope Francis and Egypt's highest Muslim religious authority joined in the condemnation. "His Holiness joins all people of good will in imploring that hearts hardened by hatred will learn to renounce the way of violence," the pope's office said. The victims of Friday's attack included civilians and conscripts praying at the mosque. An IS propaganda outlet had published an interview earlier with the commander of its "morality police" in Sinai who said their "first priority was to combat the manifestations of polytheism including Sufism". IS regularly conducts attacks against soldiers and policemen in the peninsula bordering Israel and the Gaza Strip, although the frequency and scale of such attacks has diminished over the past year.